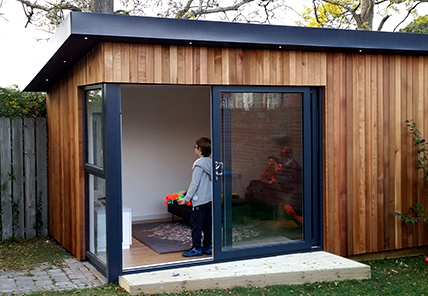 We’re normally quite modest, but your garden room is an important investment and we’d like to explain exactly why you should consider dealing with us. 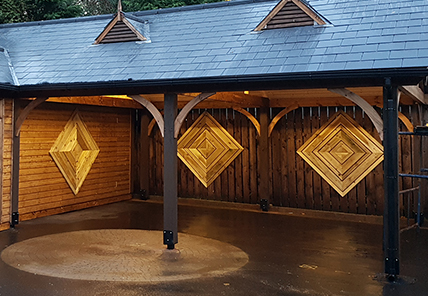 We are a family-owned Northern Ireland business, with almost half a century of experience in designing and building exquisite outdoor buildings and bringing delight to our customers who buy them. We’re based in Bangor, so you can visit our showroom and workshop, meeting the people who will craft, build and install your building. Few others offer this important facility. Not to put too fine a point on it, we are remarkably straightforward and easy to deal with. There’s no slick sales talk. No hard closing. We know that your dwelling will be a pleasure to use, and we believe it should be a pleasure to buy. 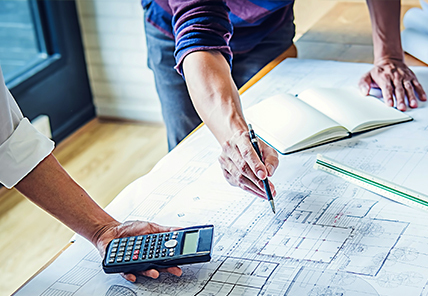 We’re not the cheapest on the market but we combine affordability with quality and offer a much more cost effective solution than a house extension. Every customer’s building is bespoke, and we make every effort at the design stage to incorporate all the features you want. But people change their minds. Maybe it’s to add another window. Or move a door just a fraction to the left. Within reason we’ll always try to accommodate your tweaks and amendments. To be frank, our buildings ooze quality. It’s something on which we will not compromise. Some elements of this are obvious, such as the seasoned, sustainable Scandinavian cedar and pine claddings used on their exteriors. Others elements are hidden, like our insistence on using over-sized struts to ensure longevity and rigidity. 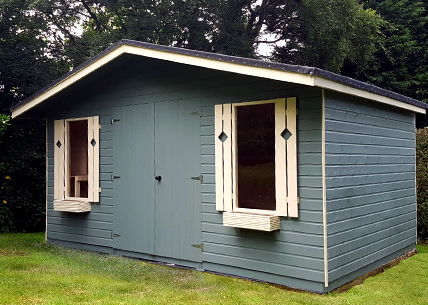 The point is, with quality built in, it only requires a minimum of maintenance to ensure years of enjoyment from your Timber Studio garden building. We love a challenge. So when a customer presents us with a request that is different, innovative and out of the ordinary, we rise to the occasion. It might be that the building has to fit into an unusually shaped part of the garden. Or that it must be adapted to accommodate the particular needs of a family member. We’ll take it on and deliver what you want to the best of our ability. And we haven’t been beaten yet!